Many of you are entering the classroom or will be entering the classroom again soon! 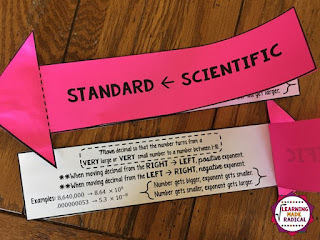 One of the first topic areas we would jump into with the 8th graders was Scientific Notation - a neat unit! 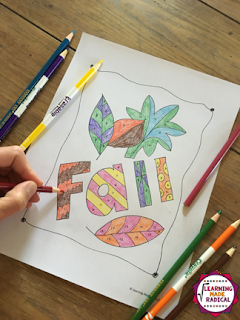 I struggled to find resources that fit this topic area, so below is what was created!! I wanted to highlight a few items from this unit! All of these resource are print ready too! I love all the notes I have created! I wanted them to be bold, stand out, but yet have simplicity too. They highlight the notes and examples, along with being an easy to find and navigate reference as needed for students. Need practice going from one to the other? This ready to load game in PowerPoint will be your students favorite game! The 'Standard Form to Scientific Notation' and 'Scientific Notation to Standard Form' HOT SEAT Game! The directions are in the document and it is completely set up and ready to go for you! 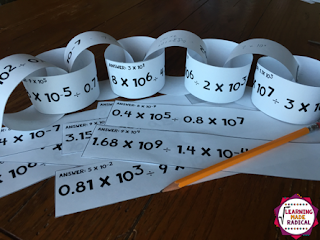 All you need to do is move your students into rows, paper and a pencil. 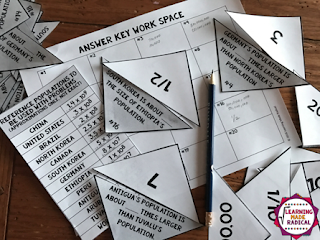 Now that students are beginning to understand HOW big or HOW small the scientific notation numbers are, practice with this Estimating Populations Matching Activity. 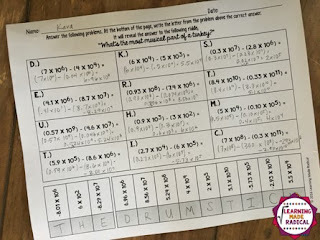 Students are given a reference sheet and they find the answer to the questions asking how much larger or or about how much the size of a country is compared to another. I took the time to separate each operation! 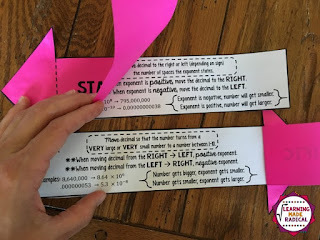 I wanted students to master adding, subtracting, then both of those together, multiplying, dividing and then both of those together. The following are the individual activities for each scientific notation operation. 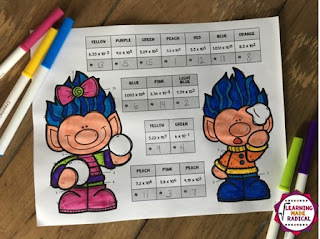 Then I combined two of the operations - Adding & Subtracting Scavenger Hunt and Multiplying & Dividing Color By Number Activity. 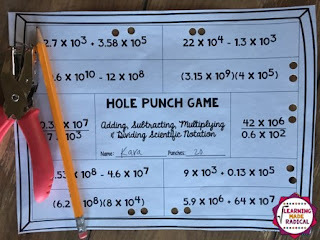 Operations with Scientific Notation Hole Punch Game! LOVE all that you see above? 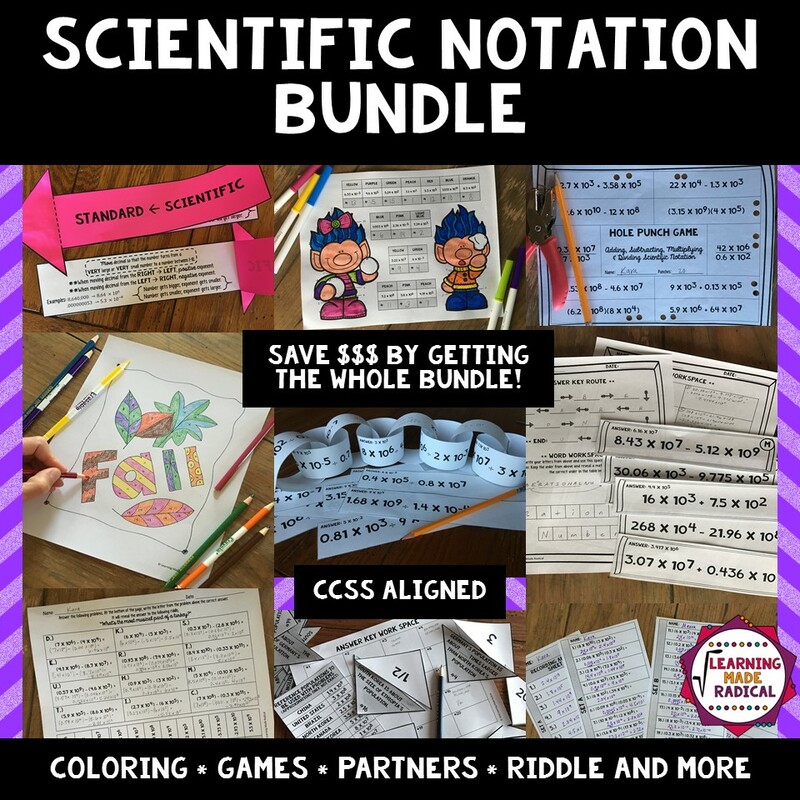 Purchase the Scientific Notation Bundle at a discounted price!! 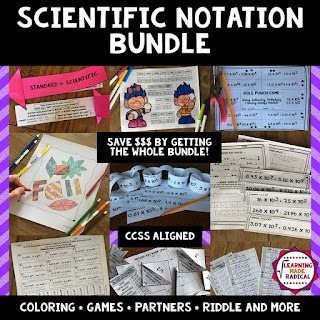 If you would like to see more details about the Scientific Notation Bundle, I did a Live Video over on my Facebook Page - Learning Made Radical. 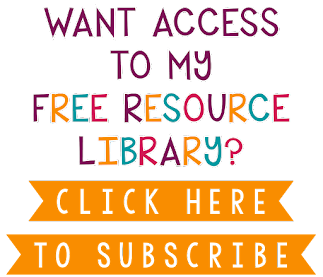 It is about 20 minutes and I highlighted all that is included in EACH of the resources. Head on over and check it out or watch below - scroll through until about :45 seconds and then the information will begin. 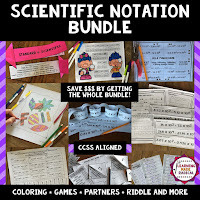 Have you completed the Scientific Notation unit and looking for a way to review? OR just starting this unit and looking for a way to work with students one-on-one? 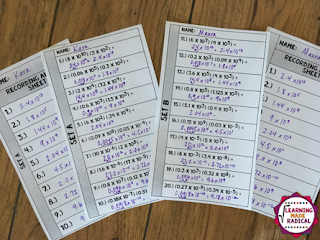 Take these above activities and set up as stations! Stations are a neat way to change up the pace of a classroom. 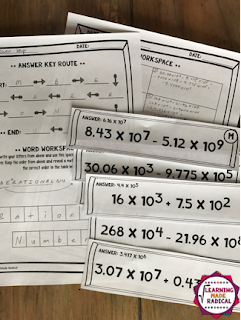 I tried to incorporate stations at least once a month with my students and these stations could last a few days or at most a week. My students enjoyed them!